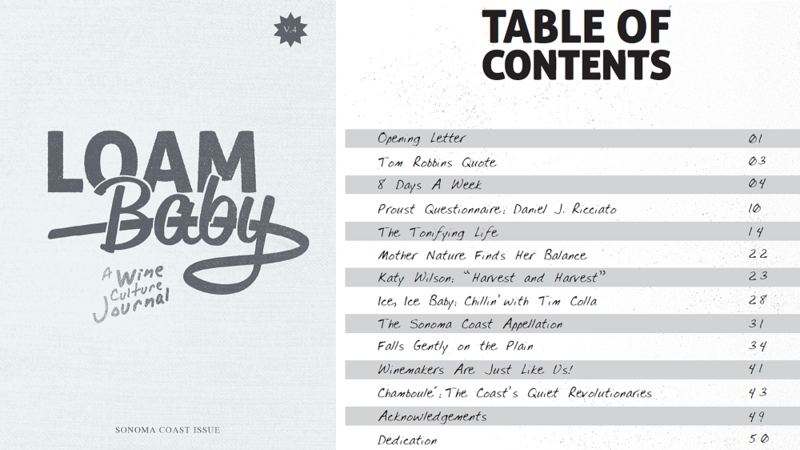 WELCOME TO LOAM BABY First published by author R.H. Drexel in 2012, Loam Baby quickly built a cult following for an intimate and irreverent take on the wine world that garnered attention from numerous publications, including Los Angeles Times, Food & Wine, Wine & Spirits, Wine Spectator, Punch Drink and Imbibe. 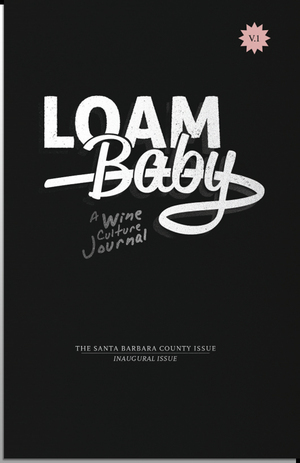 The inaugural Santa Barbara County issue was followed by volumes on the Santa Cruz Mountains and Napa Valley, all with Drexel’s trademark combination of interviews and features adorned with stylish graphics from artist Barrett “Bear” Colvin. 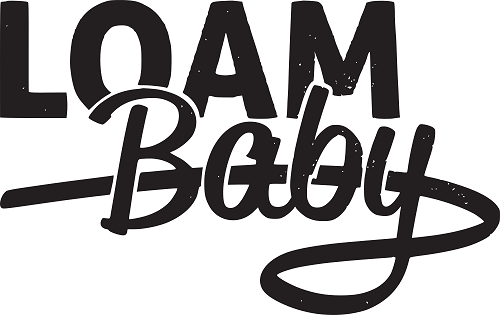 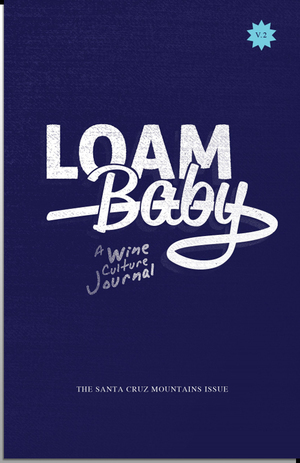 With topics ranging from life influences and philosophies to mix tapes and tattoos, Loam Baby shines a light on the personalities and culture that are driving winemaking today.